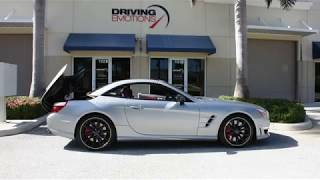 The 2013 Mercedes-Benz SL65 AMG which debuted at the 2012 New York Auto Show is a combination of power with class. The lightweight aluminum body leads to drastic weight reductions, so as to procure the desired aerodynamics for the stunning high performance and effective fuel consumption. 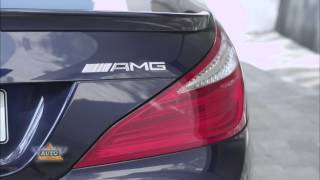 The intelligent lightweight design and the AMG speed shift plus 7-Speed transmission provides internal efficiency to the engine, leading to a top speed of 186mph and an acceleration of 0 to 60 mph in just 3.9 seconds. The new fuel economy torque converter and the transmission oil thermal management further increases the fuel efficiency and provides a maximum torque of 738 lb-ft. The car travels 100km for just 11.6 liters of petrol. The new electromechanical AMG speed-sensitive steering provides optimum handling and performance. The performance is further harnessed by rear-axle locking differential, which provides excellent dynamics and stability over the car. A feature such as the Magic sky control offers an electro-hydraulic retractable hard-top that converts the Mercedes SL65 AMG from a roadster to a coupe in less than 20 seconds. The AMG high performance braking system with 15.4 x 1.0 compound discs and fixed piston calipers provides firm control over the car even in high speed. airbags have further been developed. Head/thorax side impact airbags, in the backrestsprotect the upper body in the event of a side impact. The exteriors of the car are being blossomed by the titanium grey painted and polished 5-spoke AMG alloy wheels with 255/35 R 19 tires on the front and 285/30 R 19 on the rear. The Mercedes star mounted on the edge with the strong arrow form of the grill which optimizes the vehicles vertical geometry adds more visual emphasis and aerodynamics to the cars profile. Various color choices such as the Dolomite brown, shadow grey with Matt finish, pure black, steel grey, lunar blue etc. which allows a higher level of personal customization. The interiors are completely handcrafted from exclusive leather, with options of Walnut, Black Ash and Fiber Brown Poplar Wood. The price for the car in the European markets is around 236,334 €, about $310,000 at the current exchange rates in the US. 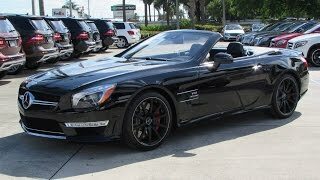 In short the Mercedes SL65 is a car which delivers superior stiffness, safety with comfort.